Acclaimed country music star Adam Harvey will release his new album, The Nashville Tapes on July 27, through Sony Music Entertainment Australia. The album is available to pre-order NOW. Multiple Aria Award nominee and 8 time Golden Guitar winner Adam Harvey is one of Australia’s most popular and enduring country stars with a career spanning over two decades. Encapsulating over half a million sales, Gold & Platinum albums, this release follows the success of his most recent albums Harvey’s Backyard Bar, The Great Country Songbook Volume II and Family Life. “It’s one of those things that’s been on my bucket list for probably 20-odd years, to actually go and record an album over there in Nashville,” Harvey says of the inspiration behind The Nashville Tapes. The beating heart of The Nashville Tapes is the anthemic first single ‘I’d Rather Be a Highwayman’, a careworn barroom sway coloured with intoxicating piano and cowboy drums, which transitions into a stirring dedication to the immortal flame of classic country. 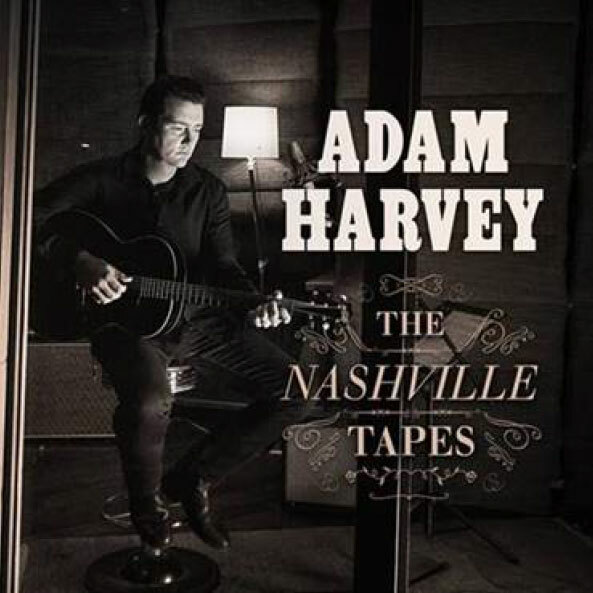 The Nashville Tapes is yet another career-best album for Adam Harvey. A deeply personal, powerfully reverent release not years but decades in the making, The Nashville Tapes is the masterwork of an all-time Australian country music legend. Harvey and is band will take The Nashville Tapes on the road in the coming months, with support from The Voice Australia 2017 winner, Judah Kelly. Concertgoers can expect everything Australia has come to love about Adam Harvey’s incomparable live show: a rousing mix of new songs, established hits and live favourites, and a smattering of evergreen country classics – along with liberal doses of Harvey’s trademark yarns, droll one-liners, and generous good humour. On album release day, he will headline the opening night of the Groundwater Country Music Festival on the Gold Coast. or your Sony Music Entertainment representative.